Orlando Tercero, 22, and Haley Anderson, 22, were both nursing students at Binghamton University in New York. They hooked up a few times. Then Haley started seeing another man, and wanted to be “just friends” with Tercero. Last week, Haley’s friends became worried when she didn’t answer her phone. They tracked her phone using the Find My iPhone app. They found her body, formally laid out in Orlando Tercero’s bed. Tercero, in the meantime, fled the country for Nicaragua, where he has family. 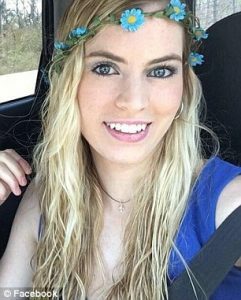 Classmate who ‘killed’ nursing student was obsessed with her after she dumped him for another man and ‘carefully arranged her corpse in his bed’ before fleeing US for Nicaragua, on DailyMail.com.